Women’s Spaces Radio Show with host Elaine B. Holtz and guest Erin Latham-Ponneck and Robin Latham on Rise Up March/Rally and Deva Marie Proto on the Counting of Votes, recorded on 10/29/18, has been uploaded to the web archives. 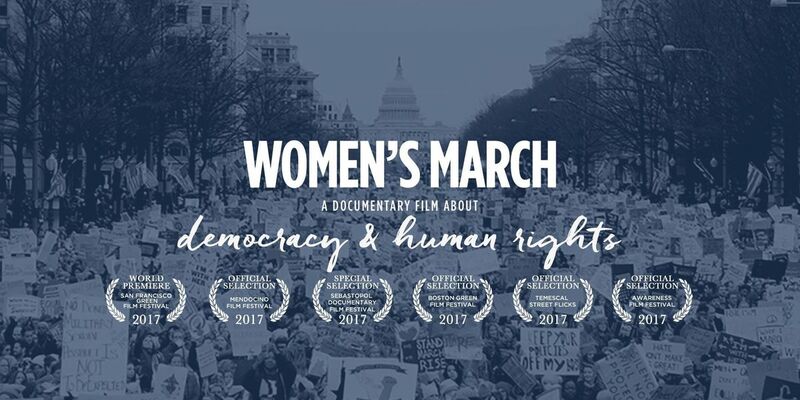 Women’s Spaces Radio Show with host Elaine B. Holtz and guest Erin Latham-Ponneck and Robin Latham on Rise Up March/Rally and Deva Marie Proto on the Counting of Votes, recorded on 10/29/18, has been uploaded to the web archives. The show was recorded, broadcast and streamed over Radio KBBF 89.1 FM in the NorthBay on Monday 10/29/18 and repeat broadcast and streamed over Radio KPCA 103.3 FM in Petaluma on Tuesday 10/30/18. 1. Erin Latham-Ponneck, Organizer and 2. Robin Latham , Volunteer, Rise Up and Make Some Noise March and Rally November 3. 1. Erin Latham-Ponneck and 2. 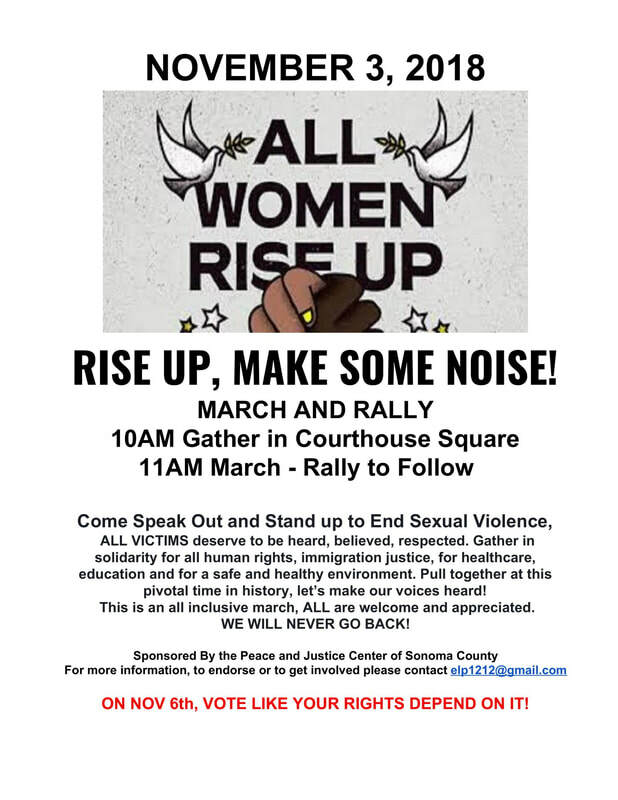 Robin Latham announce the Rise Up and Make Some Noise Rally March and Rally this Saturday November 3 at the Santa Rosa Square. Robin shares her path to activism and for this event she actually works under her daughter’s lead Erin. Erin talks of the importance of the Rally and what moves her personnally to undergo the work of organizing such an event. About our Guest: Erin Latham-Ponneck helped organize the Books not Bombs action while in high school at the start of the second Iraq War. Erin would attend political vigils and rallies with her parents since the 1980’s. About our Guest: Robin Latham is a long time activist. Robin is presently the EcoWares Librarian with Green Mary – Zero Waste Events , a company dedicated to greening events. 3. Deva Marie Proto, Sonoma County Chief Deputy Clerk-Recorder, talks about the procedures at the Registrar of Voters office around Election Day November 3 in counting the votes. She urges the early mailing of the mail-in ballots in order to be counted for the election night tally, but also stressed that the legal count totals occur upon certification 30 days later, which include all the ballots cast, including the mail-in ballots not received until the day of election. About our Guest: Deva Marie Proto is the newly elected Sonoma County Clerk-Recorder-Assessor-Registrar of Voters. She is currently the Chief Deputy Clerk-Recorder and will take office on January 8, 2019. Deva has been with the County for over 11 years, and grew up in Sonoma County. While she has been with the Clerk-Recorder’s Office, she has overseen a number of projects to increase efficiency and customer access. That includes implementing a new Clerk-Recording system that cut back on errors and data duplication, and a new website that allows people to purchase recorded documents online instead of coming into the office. The website also includes a full Spanish translation. She is currently working on expanding the records available online, and testing a system to allow people to file Fictitious Business Name Statements online. Saturday, November 3, 2018, Rise Up and Make Some Noise March and Rally, Santa Rosa Square, Gather at 10 AM, March at 11 AM followed by Rally. See Poster above. Women’s Spaces Radio Show with host Elaine B. Holtz and guests Noreen Evans on PGE Wildfire Litigation and Christine Pelosi on local Democratic Party strategies, recorded on 7/2/18, has been uploaded to the web archives. Women’s Spaces Radio Show with host Elaine B. Holtz and guests Noreen Evans on PGE Wildfire Litigation and Christine Pelosi on local Democratic Party strategies, recorded on 7/2/18, has been uploaded to the web archives. The show was recorded, broadcast and streamed over Radio KBBF 89.1 FM in the NorthBay on Monday 7/2/18 and repeat broadcast and streamed over Radio KPCA 103.3 FM in Petaluma on Tuesday 7/3/18. 1. Noreen Evans, former California State Senator, Litigation Attorney on Tubbs Wildfire of October 2017. 1. Noreen Evans shares what sparked her interest in law and in politics, and as a woman navigated her way through the halls of power. Since the wildfire disaster that struck Sonoma and surrounding North Bay counties in the Fall of 2017, Noreen has been in the forefront to represent victims of the fires in litigation against the utility power company PG&E. Noreen explains the issues before the court and the mounting evidence against PG&E for neglecting to maintain the power lines properly in wooded areas and keep them free from interfence from brush and trees as mandated by the Public Utilities Commission. Noreen announces the addition of Erin Brockovich to her team, as Erin led the charge against PGE in HInckley, California, of which a film as been made. Noreen gives this advice when facing injustice: “Bear witness – make a fuss!” Noreen did just that when as a state senator and leader of the State Commission on the Status of Women she led the fight to keep the funding when it was challenged. About our Guest: Noreen Evans is a California native,and has been practicing law in Sonoma County since 1982. She served in the California State Legislature for a decade and is responsible for numerous pieces of legislation relating to the administration of justice and California’s wine industry. Noreen received her BA degree in Government (with honors) in 1978 from California State University, Sacramento. She graduated from University of the Pacific McGeorge School of Law in 1981. In 1996, Noreen was elected to the Santa Rosa City Council, and re-elected in 2000. She served until 2004, when she was elected to represent the 7th Assembly District in the California State Assembly and served until 2010. She was elected to represent the 2nd Senate District of California in 2010 and served until 2014 when she decided to return to law practice. Noreen became the first (and only) woman to receive the Judicial Council’s Stanley Mosk “Defender of Justice Award.” She currently works at the law firm, O’Brien Watters & Davis LLP. ; and on the wildfire litigation works at Mauro, Archer, and Associates LLC. 2. Christine Pelosi shares her insights on the Families Belong Together rallies, local Indivisible groups and other democratic groups for people to join to prepare for the November elections to win more seats for progessive Democrats. About our Guest: Christine Paule Pelosi is an American Democratic Party political strategist from California and author of Campaign Boot Camp 2.0 (2012) and Campaign Boot Camp: Basic Training for Future Leaders’ (2007), books used in her leadership trainings for candidates and causes. Since 2005 she has directed the AFSCME PEOPLE Congressional Candidates Boot Camp, which prepares Democrats for campaigns and has helped over 40 challengers get elected to the U.S. House of Representatives. The American Federation of State, County and Municipal Employees (AFSCME) is the nation’s largest and fastest growing public services employees union with more than 1.6 million working and retired members. She holds a JD from the University of California Hastings College of the Law and a bachelor’s degree from Georgetown University’s Edmund A. Walsh School of Foreign Service. In addition, Pelosi has served as volunteer board member for the National AIDS Memorial Grove and the New Leaders Council. Pelosi has also served as a board member and the Interim Executive Director of the Young Democrats of America (2011). Christine is the daughter of San Francisco Congresswoman Nancy Pelosi, the Minority Leader of the House of Representatives since 2011 and before that the first and only woman to serve as the House Speaker. “Hung out with 3000+ friends, family and community yesterday …. Women’s Spaces Radio Show with guests Santa Rosa City Councilmember Julie Combs and Adrienned Laube of Homeless Action! in Sonoma County, recorded on 5/14/18, has been uploaded to the web archives. 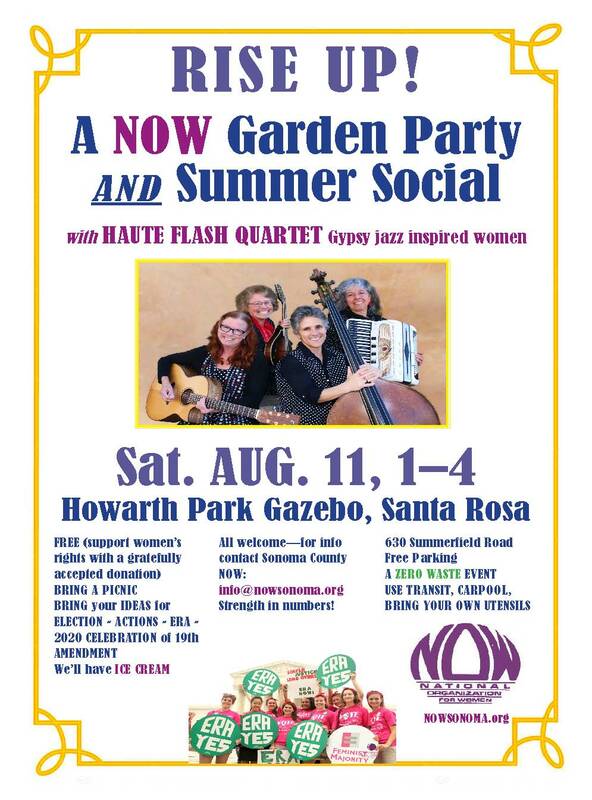 Women’s Spaces Radio Show with guests Santa Rosa City Councilmember Julie Combs and Adrienned Laube of Homeless Action! in Sonoma County, recorded on 5/14/18, has been uploaded to the web archives. The show was recorded, broadcast and streamed over Radio KBBF 89.1 FM in the NorthBay on Monday 5/14/18 and repeat broadcast and streamed over Radio KPCA 103.3 FM in Petaluma on Tuesday 5/15/18. 1. Santa Rosa City Councilmember Julie Combs and 2. Adrienne Lauby of Homeless Action! discuss the over 2,000 homeless people in Sonoma County and what the Santa Rosa City Council has accomplished and has still to do with its Homeless Encampment Assistance Pilot Program. The recent disbandment of the homess tent village in Roseland on Sebastopol Road and the civil disobedience arrests in the City Council chambers last week are looked at from the city council member’s perspective and that of the homeless advocates. About our Guest: Julie Combs’ commitment to community service started at an early age in North Carolina when she formed her high school’s first ecology club and started recycling newspapers. Julie received her BS degree in mechanical engineering from Syracuse University in 1988.and received her BS degree from Syracuse University. Julie worked as an American’s with Disabilities Act Coordinator and a Rehabilitation Engineer and served as a Senior Plans Reviewer for the city of Asheville, North Carolina. In 2012 she was elected to the SR City Council was elected in 2016 for a second term. She worked on comprehensive Housing Agenda to address current housing crisis and provide both immediate and long term relief for Santa Rosa residents. She approved over $3 million on shovel-ready affordable housing projects and made Housing and Homeless issues one of the top council goals for 2015. She represents the city and the county she fought for equitable distribution of grant funds for our area while serving on the Association of Bay Area Governments Regional Planning committee. We also provide links on the 2018 Political Candidates page.